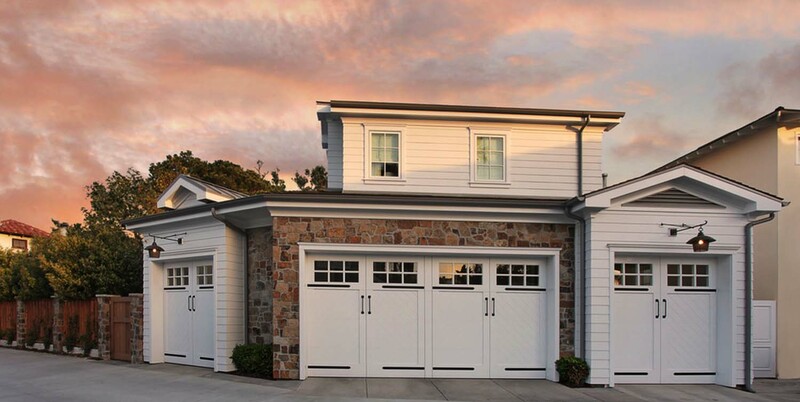 This coastal style home was designed by Patterson Custom Homes along with Stacia Dunnam Design, located in the Bayshores community of Newport Beach, California. 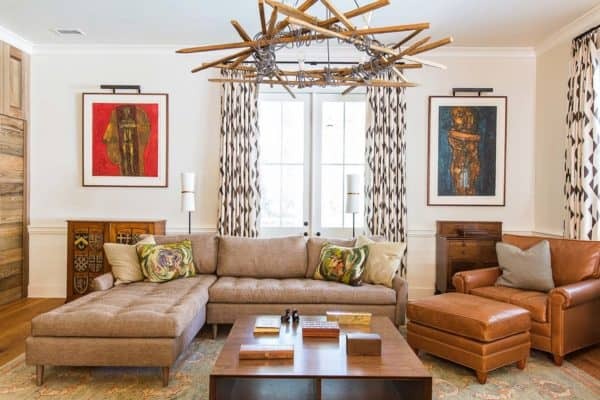 This newly built custom home of 6,500 square feet features exquisite design details, loaded with warmth and personality. We begin with the front entryway, where a stone walkway in the color shadow gray was sourced from Cougar Stone. 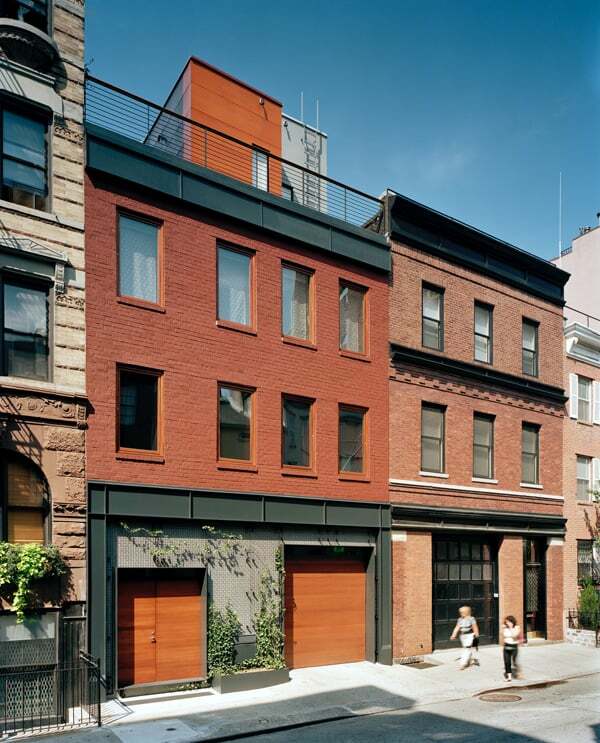 The walkway is lined by shrubs, offering fantastic curb appeal. 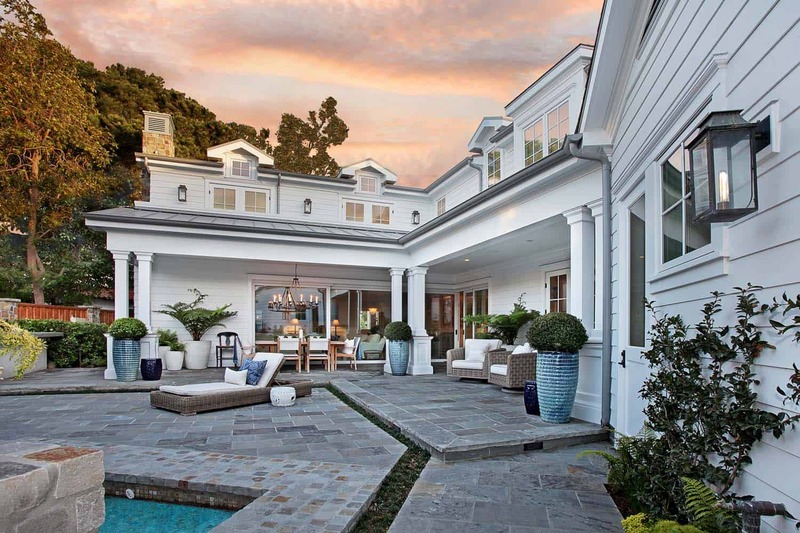 A covered entry offers a more formal entrance, supported by traditional columns. Copper Bevolo Williamsburg lanterns are affixed to either side of the columns, which adds a colonial feel to the entry. 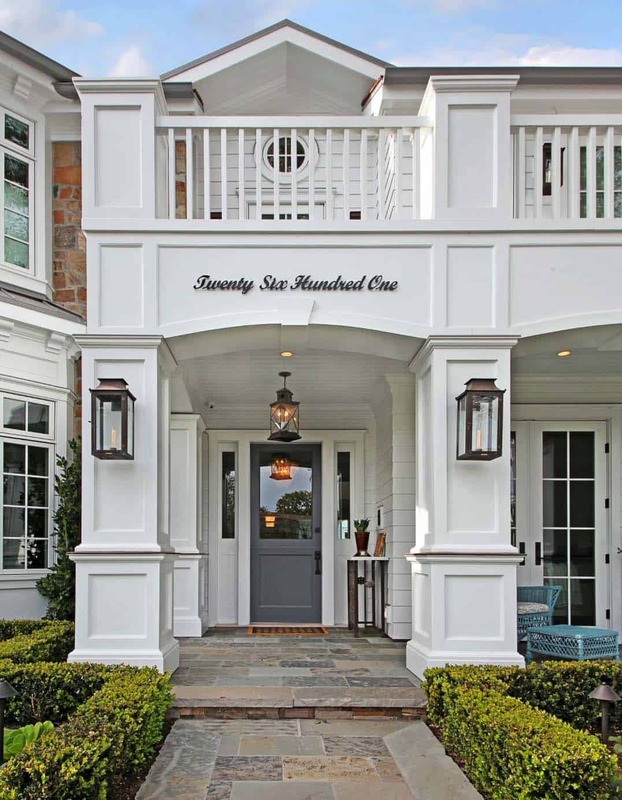 The eye-catching front door was custom made and painted in Benjamin Moore’s Kendall Charcoal. Have a look below for the “Related” tags for more amazing home tours from the portfolio of Patterson Custom Homes. 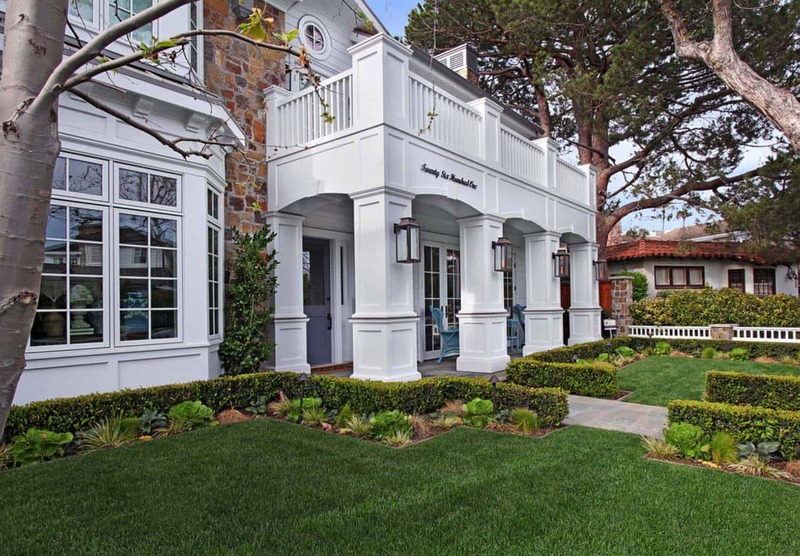 The exterior facade has been painted in Dunn Edwards Whisper White, which adds to this beach style abode. Even the house numbers were a custom detail, as they have been laser cut from plate steel and powder coated. Above: The flooring throughout the interiors features solid french white oak, which has a custom stain that gives it a beautiful aesthetic. 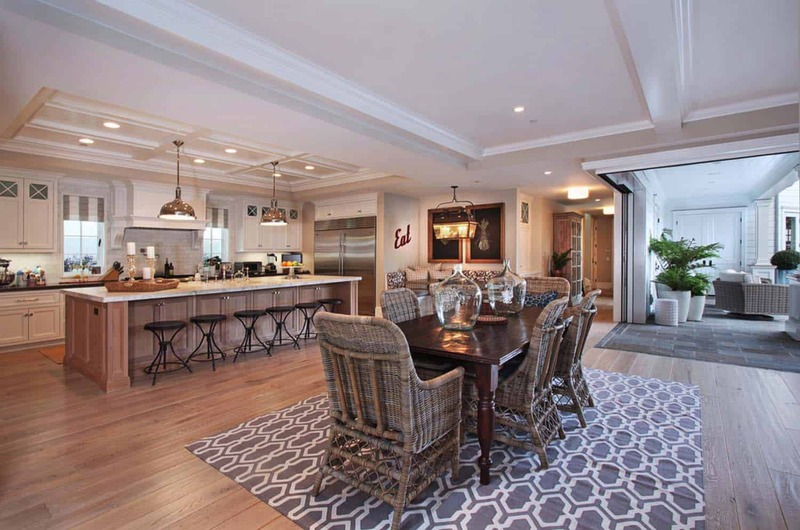 Above: The rattan dining chairs accenting the dining table were sourced by the interior designer from RJ Imports. 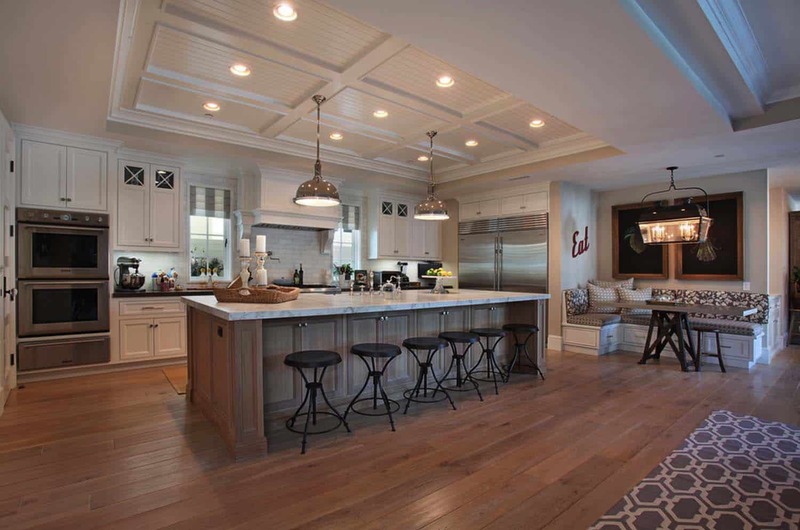 Above: The expansive kitchen island is 12 feet long, comprised of rift sawn oak. It offers ample space for guests and family members to hang out with the chef! A built-in breakfast nook is ultra-cozy with lots of cushions and pillows accented by cool wall art. 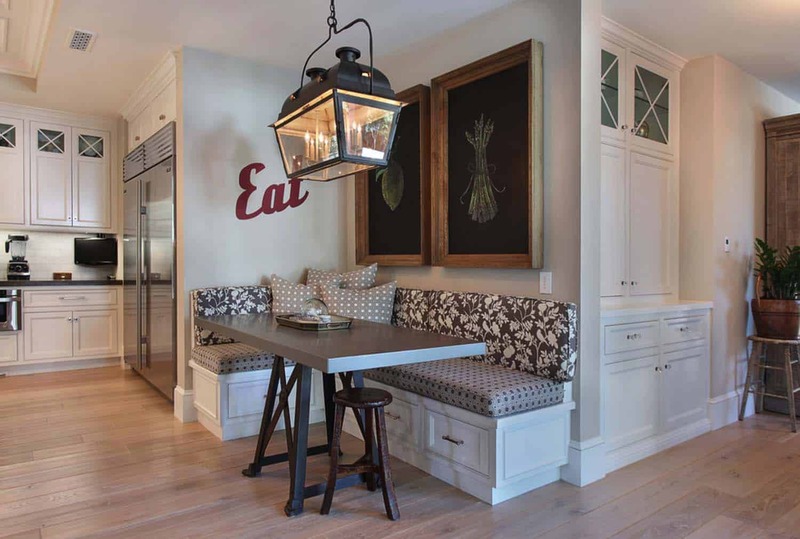 Above: The built-in breakfast nook features a gorgeous light fixture and we have the source: 4011-D Double Nantucket Hanging Lantern from Paul Ferrante. 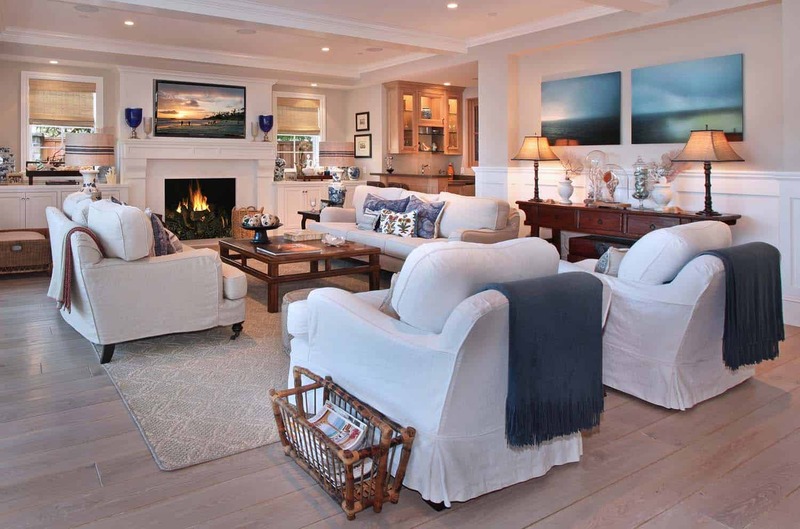 What We Love: This beautiful coastal style home showcases fresh and stylish interiors in a neutral color palette. The overall vibe is a relaxing and comfortable atmosphere that is perfect for a family home. There is plenty of space to entertain family and friends, while an indoor-outdoor connection is greatly encourage in the main living area…. 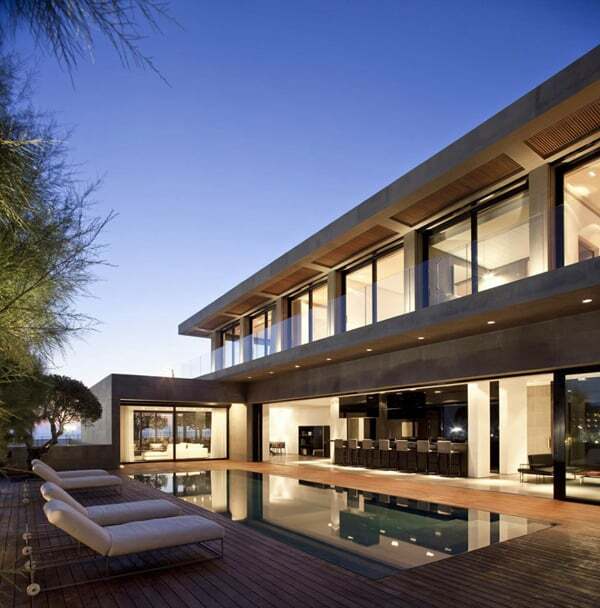 Readers, what do you find most enjoyable about the design of this home? Share with us in the comments below. 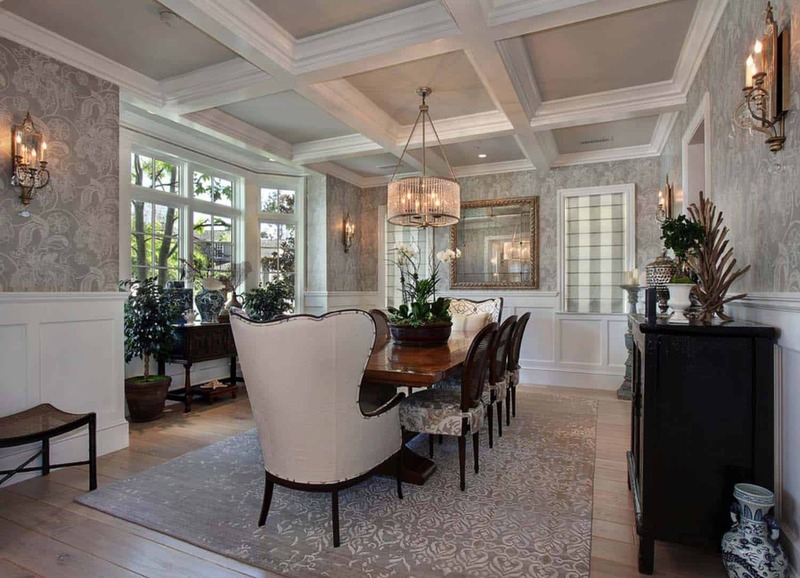 Above: A formal dining room dressed in neutral features beautiful millwork of wainscoting and coffered ceilings. 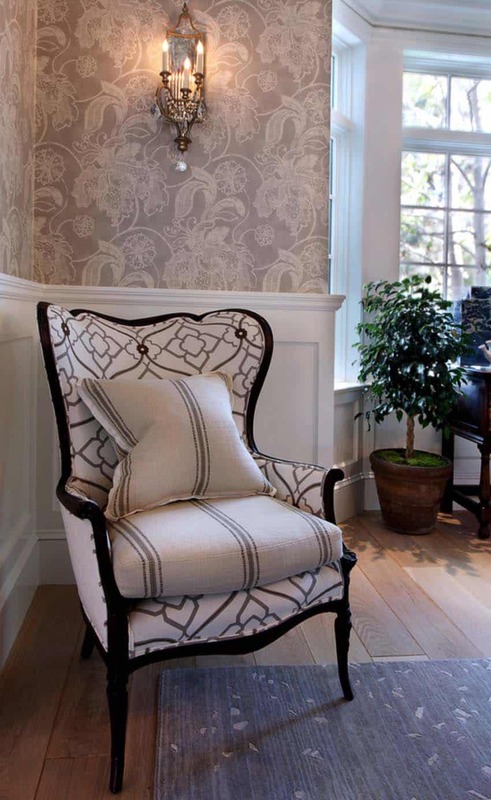 A pretty gray and white floral patterned wallcovering adds to the visual aesthetic of this space. A bay window helps to illuminate the dining room with natural light. 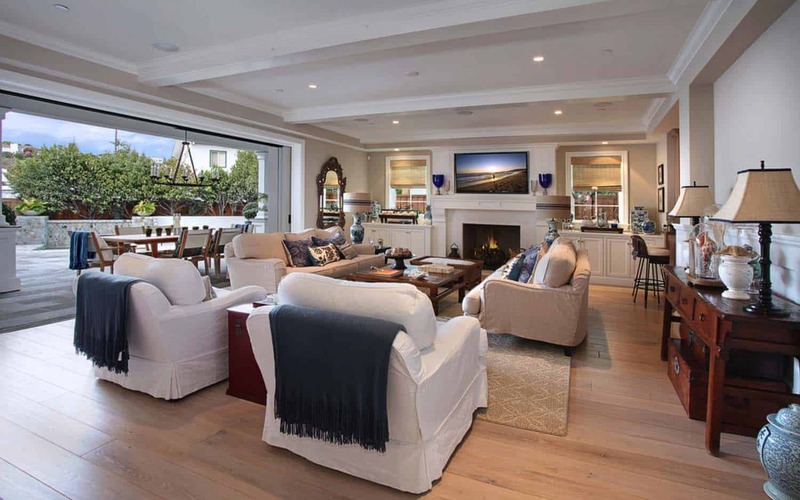 Above: The family room offers cozy furnishings, a piano for some live entertainment and a fireplace with a marble surround. Above: A beautifully designed office features functional storage with white painted built-ins, providing a clean, crisp aesthetic. The bookshelves enables the homeowner ample space to display personal artifacts and decor. The eye-catching pendant light suspended from the ceiling is the Uttermost Filigree 3 Light Drum Pendant. Above: A custom designed wine cellar features wood floors and ceiling with ventilation and stone walls. 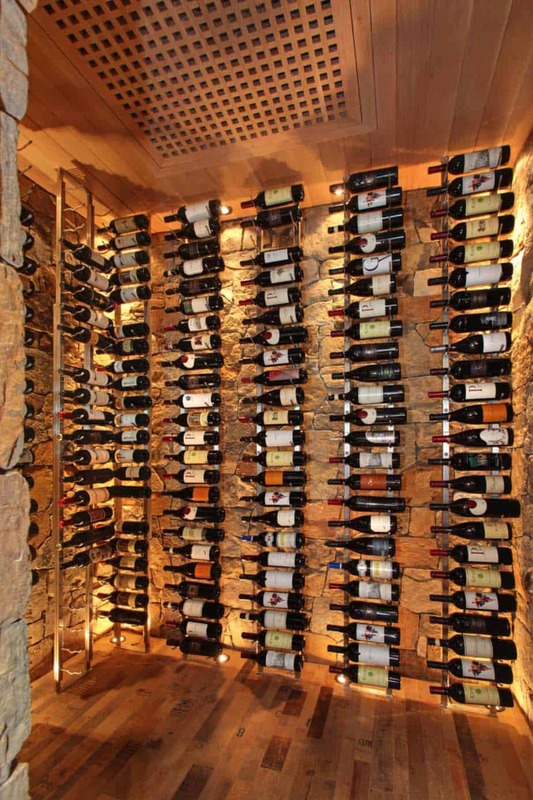 The floor-to-ceiling wine racks are called VintageView Wine Racking System, sourced from here. 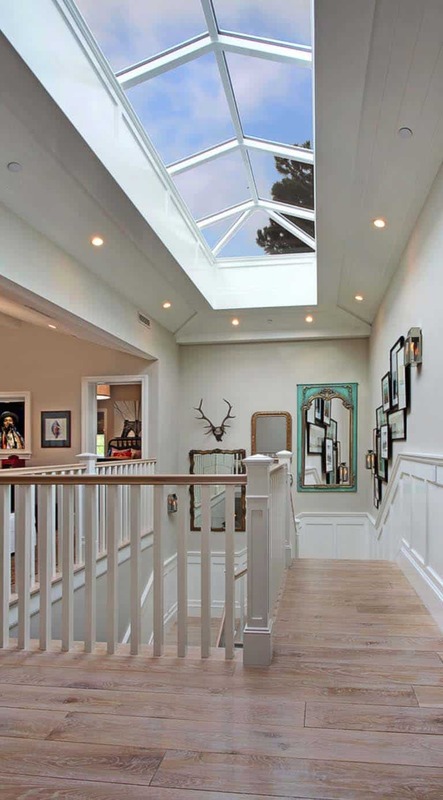 Above: The staircase features a skylight above, bathing the area with natural light. 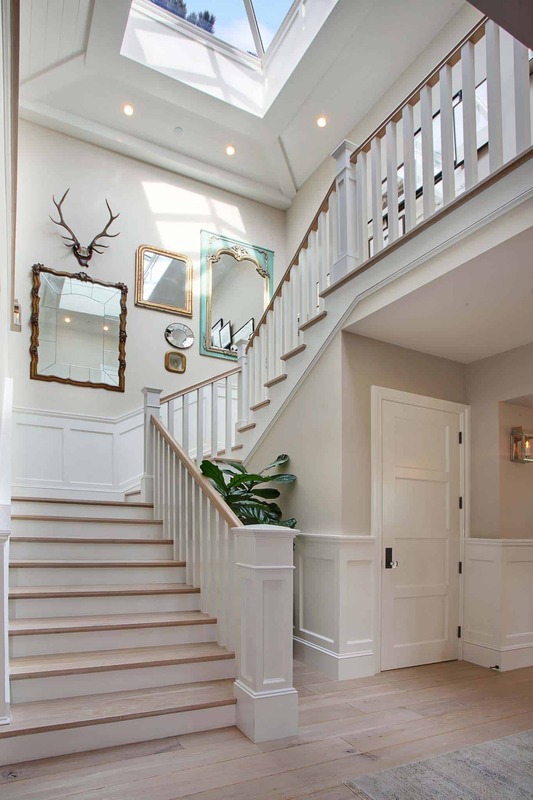 The wood stair treads helps to make a statement, as does the beautiful wainscoting that aligns the side of the stairwell. 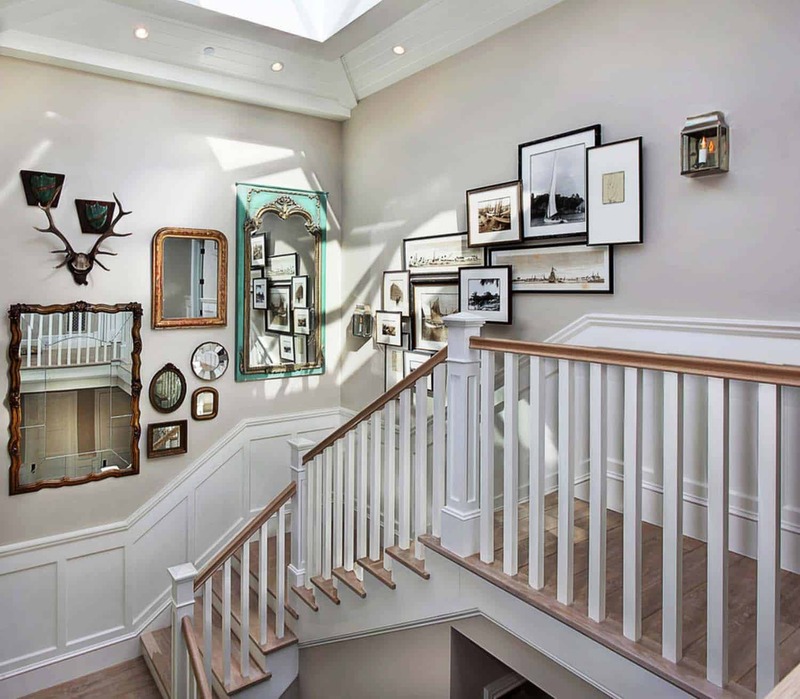 An eye-catching visual display on the wall features various sized mirrors and a collage of overlapping frames. 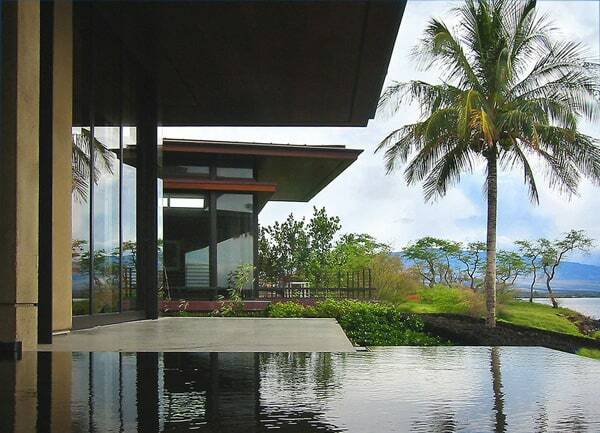 This really helps to create a “wow” factor! 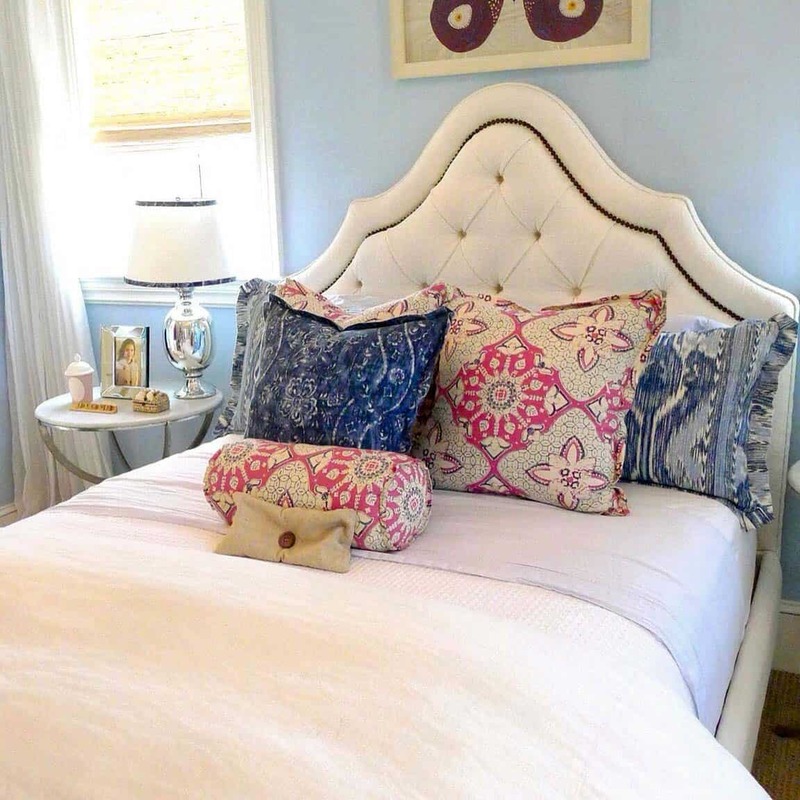 Above: The master bedroom retreat offers a serene elegance, with plenty of texture and warmth. The vaulted ceilings helps to keep the space feeling open and airy, while French doors leads out to a private balcony. 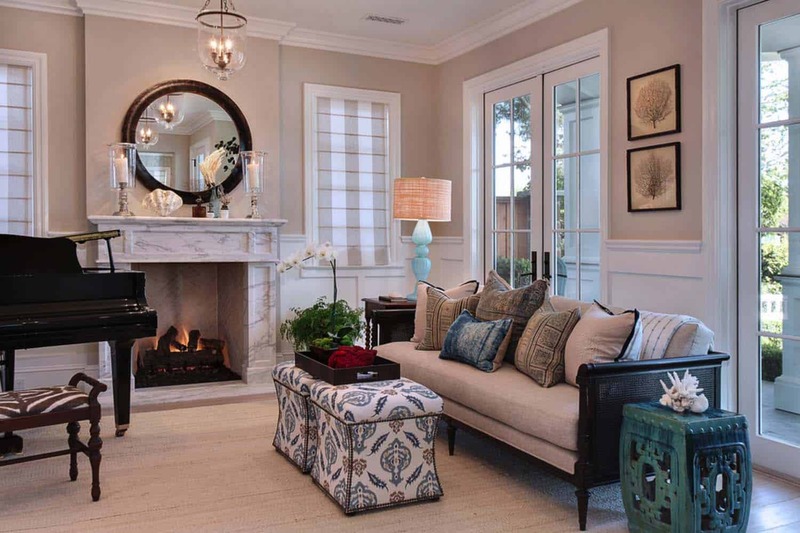 A cozy fireplace adds to the ambiance of the luxurious space. 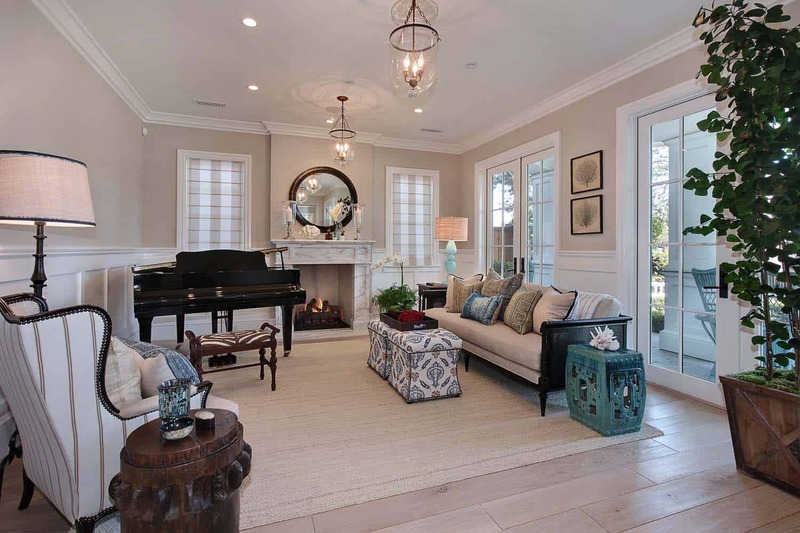 Wood flooring helps to add visual warmth, while a textured area rug provides warmth underfoot. 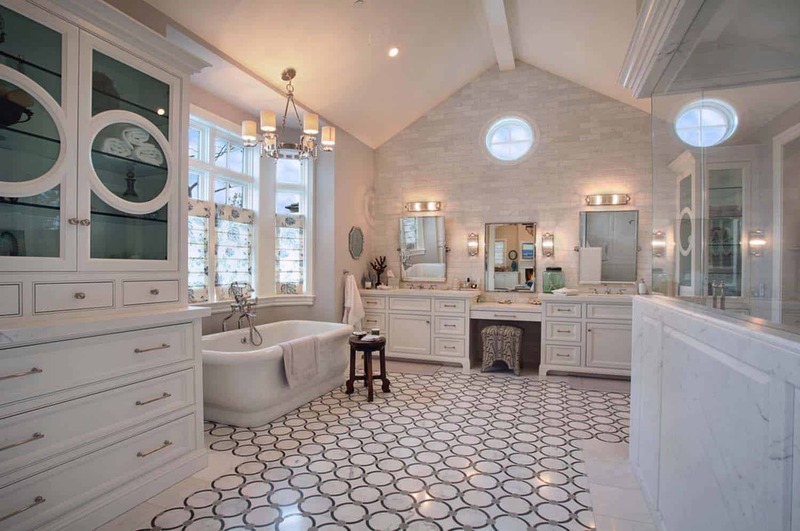 Above: A gorgeous master bathroom is bright and airy thanks to white finishes and a vaulted ceiling. Highlights includes: built-in dual vanities, a built-in cabinet for extra storage, a freestanding bathtub and a shower enclosure that is white marble on the lower portion and glass on the top. I think this home is very poorly designed on the outside. Not the usual quality of home I am used to seeing on onekindesign. 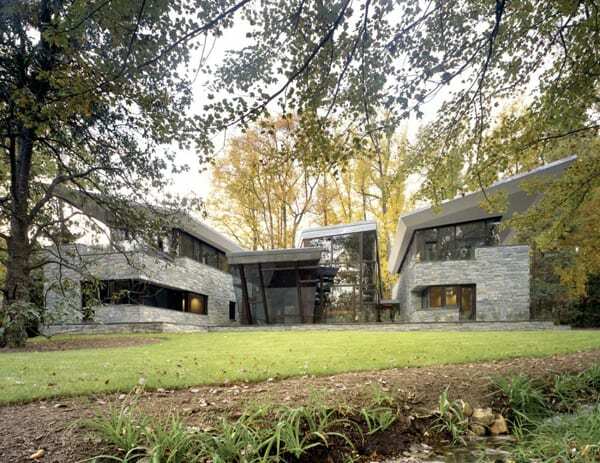 In fact Imo the entire exterior of the home (for this caliber of home) is of poor design. But the columns are surely over the top. I’m sure the neighbors are thrilled.